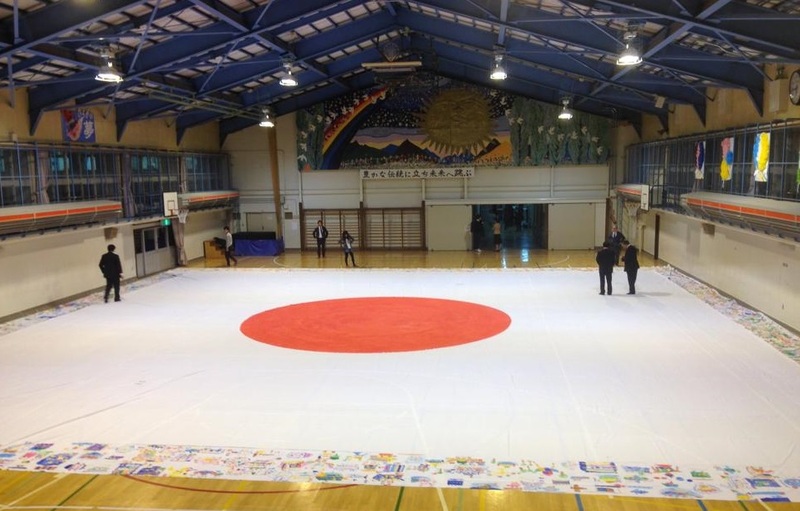 The celebration was held at Satsunishi Primary School, Sapporo City, for the Biggest Painting in the World. 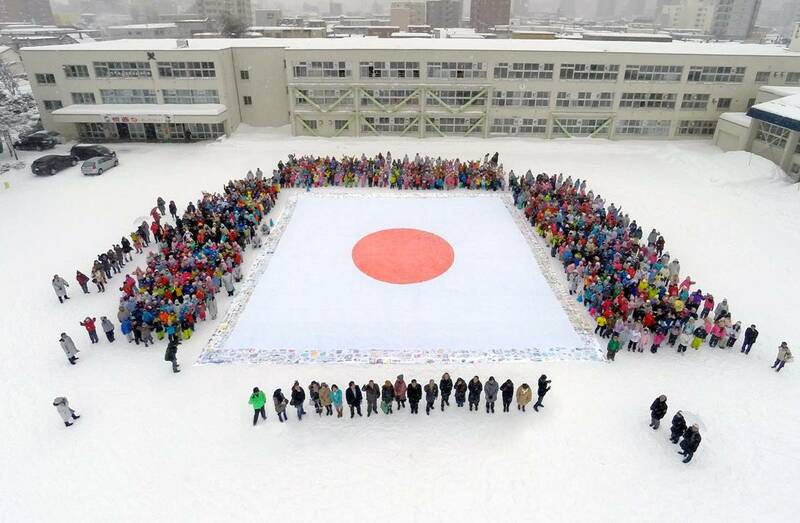 Their 950 pupils celebrated the completion of 20 m x 20 m painting which was spread out on the white snow to present to Mr. Machida, the head of the Board f Education of Sapporo, as well as their parents and local people. 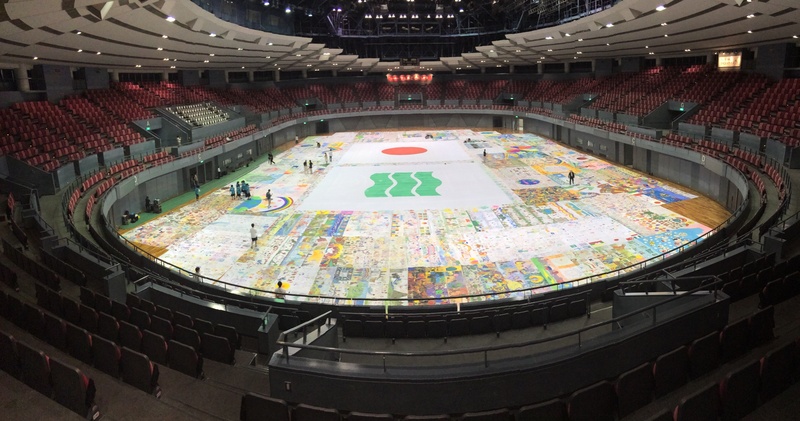 The Biggest Painting in the World 2020 in Sapporo was completed under the favor of Mr. Sato, President of Sapporo Property Co., Ltd, Mr. Takenaka, President of Design Center Co., Ltd, and Mr. Orii, President of zabo Co., Ltd, who are the representatives of the Biggest Painting in the World in Hokkaido. 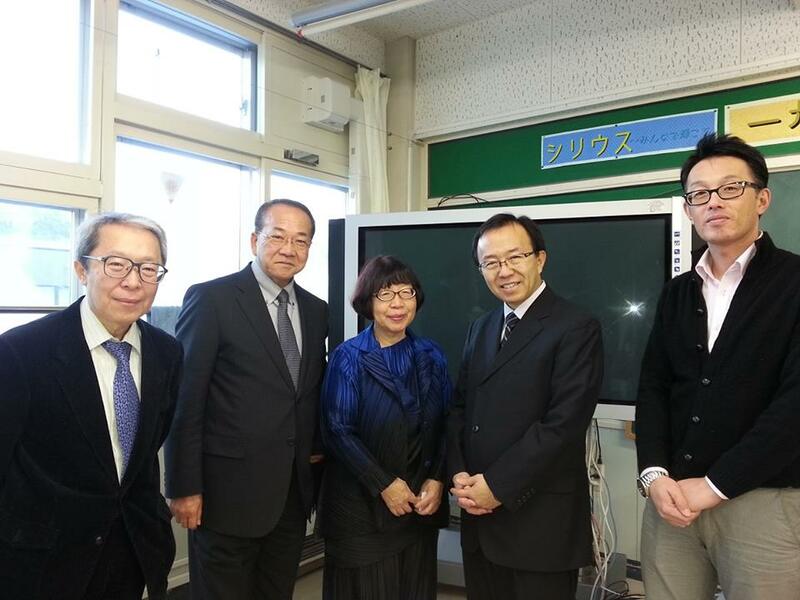 Our thanks to the pupils of Horonish Primary School, Sapporo City, who painted the pictures. 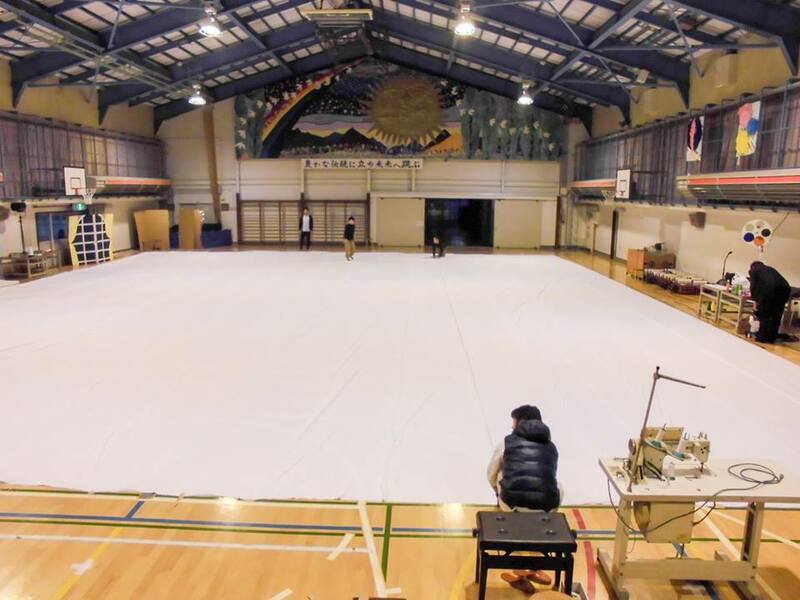 Under the combined effort of zabo Co., Ltd., Design Center Co., Ltd. and Sapporo Property Co., Ltd., 20 pieces of 1m x 20m were sewn together to create a 20m x 20m piece of cloth for the Biggest Painting in the World in Sapporo at Horonishi Primary School, Sapporo, Hokkaido. The completed piece of cloth was surrounded by the paintings on 1m x 20m piece of cloth. We really appreciate all the cooperation and are looking forward to the completed painting on it. 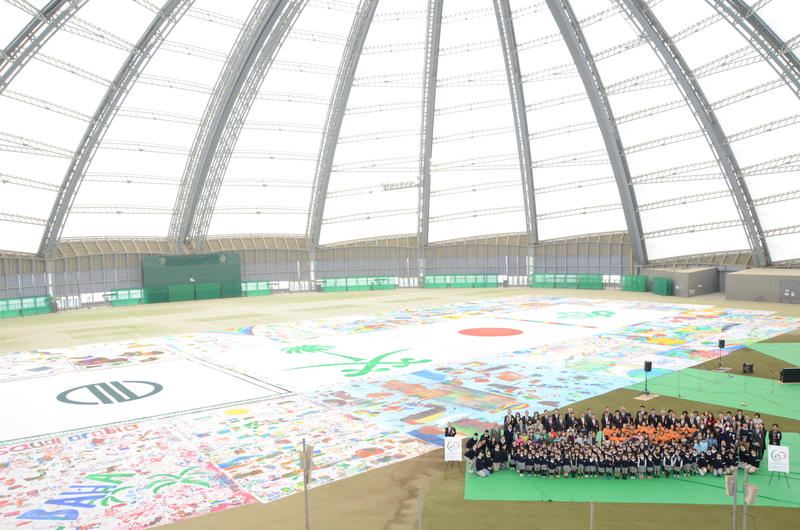 We visited Kousai Elementary school in Sapporo city in Hokkaido for “The Biggest Painting in the World in Sapporo”.